Many educators, politicians, and parents believe the instruction of mathematics in the United States is in crisis mode, and has been for some time. Indeed, recent test results show that American 15-year-olds were outperformed by 29 other countries on math testing scores. To help counter this crisis, educational, civic, and business leaders worked together to develop the Common Core State Standards (CCSS). 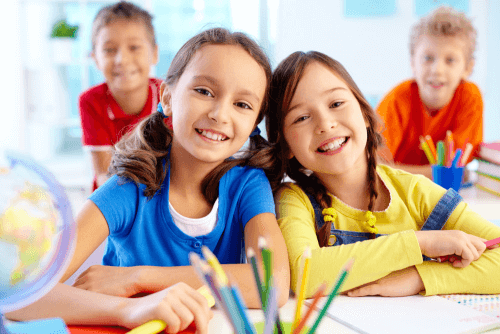 The goal of Common Core is to establish consistent, nationwide guidelines of what children should be learning each school year, from kindergarten all the way through high school, in English and math. Though CCSS sets forth these criteria, states and school districts are tasked with developing curricula to meet the standards. The 2014-15 school year will be important for Common Core as the standards are fully implemented in many remaining states of the 43 (and the District of Columbia) that have embraced their adoption. CCSS has its advocates as well as its critics, and the debate on its merits has become more pronounced in recent months. Irrespective of the political differences with Common Core, its concepts are critical for students because the standards help with understanding the foundational principles of how math works. This guide steers clear of most of the controversy surrounding CCSS and primarily focuses upon the math your kindergartner will encounter. A stated objective of Common Core is to standardize academic guidelines nationwide. In other words, what kindergartners are learning in math in one state should be the same as what students of the same age are learning in another state. The curricula may vary between these two states, but the general concepts behind them are similar. This approach is intended to replace wildly differing guidelines among different states, thus eliminating (in theory) inconsistent test scores and other metrics that gauge student success. An increased focus on math would seem to include a wider variety of topics and concepts being taught at every grade level, including kindergarten. However, CCSS actually calls for fewer topics at each grade level. The Common Core approach (which is clearly influenced by so-called “Singapore Math”—an educational initiative that promotes mastery instead of memorization) goes against many state standards, which mandate a “mile-wide, inch-deep” curriculum in which children are being taught so much in a relatively short span of time that they aren’t effectively becoming proficient in the concepts they truly need to succeed at the next level. Hence, CCSS works to establish an incredibly thorough foundation not only for the math concepts in future grades, but also toward practical application for a lifetime. For kindergarten, Common Core’s focus is on developing an initial understanding of numbers, very basic addition and subtraction, and identifying shapes. Ultimately, this focus will enable children to develop rigor in real-life situations by achieving a base of conceptual understanding and procedural fluency. Kindergartners will write and use numbers to represent and solve quantities, such as how many of an object are in a set. Students will learn to compare numbers and get their first glimpse of simple equations (e.g., 2 + 3 = 5). They will also be taught basic adding and subtracting strategies—for example, that combining two sets of objects is addition and taking away objects from a set is subtraction. Students will learn to identify various two- and three-dimensional shapes, including circles, triangles, squares, cubes, and cylinders. They will also describe the physical world in terms of shapes, spatial relationships, and so on. From the two critical areas of focus discussed in the previous section, Common Core also further clarifies the skills kindergartners should know by the end of the school year. For example, the fluency requirement at this level is adding and subtracting within 5. The five topics presented here, taken directly from CCSS itself, include some specifics on what kids will be taught in kindergarten. 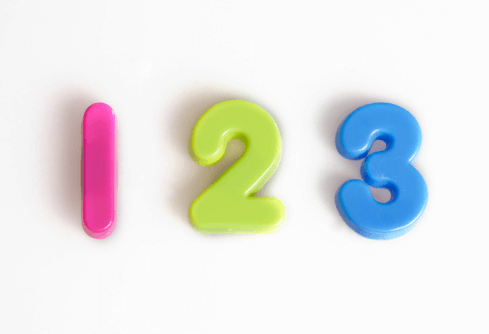 Know the number names and count sequence. Kindergartners will learn to count to 100 by ones and by tens. They will be able to count starting from any number (not just 1) and learn to write numbers between 0 and 20. Count to tell the number of objects. This is exactly as it sounds: Students will become proficient in counting objects. They will be able to answer “how many” questions by counting up to 20 objects arranged in a line or array, and up to 10 objects scattered in a configuration (for example, “How many blue flowers are in this picture?”). Also, they will understand that the order or arrangement of objects doesn’t matter for counting. Compare numbers. Students will determine if one group of objects has more than, fewer than, or an equal amount compared with another group. They will also compare two numbers between 1 and 10 as written numerals. How to represent addition and subtraction by counting objects, counting on their fingers, creating mental images, using drawings and sounds (e.g., how many rings of a bell), acting out situations, verbal explanations, expressions, and, eventually, equations. How to solve addition and subtraction word problems within 10 (e.g., if Michael has 4 Hot Wheels cars and Ben has two Matchbox cars, how many cars are they playing with?). How to decompose numbers in pairs to arrive at the same answer (for example, using objects to determine that both 3 + 1 and 2 + 2 equal 4; these are also known as number bonds). How to determine what to add to a number between 1 and 9 to get 10 (using objects or drawing if necessary). How to fluently add and subtract within 5. Work with numbers 11 to 19 to gain foundations for face value. Students will become proficient recognizing numbers between 11 and 19 and understanding that these numbers are composed of 10 ones plus another amount of ones (for example, 16 is 10 ones plus 6 ones, or 1 base ten block and 6 base one blocks). Describe and compare measurable attributes. Students will learn the difference between height and weight (e.g., tall, short, light, heavy, big, small, and so on) and apply those attributes when describing and analyzing the characteristics of an object (for example, which pitcher will hold more water?). They will also compare measurements (for example, comparing two objects and describing which one is heavier, taller, smaller, and so on). Classify objects and count the number of objects in each category. The best way to explain this topic is to give an example: If a bowl has green, red, and yellow buttons, students will classify those objects into categories (such as color, size, shape), count how many there are of each, and sort those categories by number. Identify and describe shapes. Kindergartners will learn the names of shapes, describe objects in relation to their positions (e.g., above, below, near, away, and so on), and describe if something is two-dimensional or threedimensional. Analyze, create, compare, and compose shapes. Students will learn about, analyze, describe, and compare two- and threedimensional shapes in terms of their characteristics (for example, a triangle has three sides) and size. They will also create shapes by drawing or building, and compose simple shapes into larger shapes (e.g., placing two squares together to get a rectangle). Common Core aims to improve educational performance and standardize what students should learn at every grade in preparation for a lifetime of application, but it does not set curricula, nor does it direct how teachers should teach. As with any educational reform, some teachers, schools, and school districts will struggle with CCSS, some will seamlessly adapt, and some will thrive. As a parent, your responsibility is to monitor what your kindergartner is learning, discover what is working or isn’t working for your child, and to communicate with his or her teacher—and to accept that your children’s math instruction does differ from what you learned when you were younger, or even what they might have learned last year. The transition can be a little daunting for parent and student alike, but that’s not a product of the standard itself. Common Core simply takes a new, more pointed approach to improving the quality of math instruction in this country. As previously mentioned, CCSS decreases the number of topics students learn at each grade. However, the remaining topics are covered so extensively that the chances a child will master the corresponding skills increase. An analogy to this approach is comparing two restaurants. One restaurant has a varied menu with dozens of items; the other only serves hamburgers, fries, and milk shakes. The quality of the food at the first restaurant may vary upon the cooks’ experience, the multitude of ingredients required for so many offerings, and the efficiency (or lack thereof) of the staff. Because the second restaurant only serves three items, mastering those three items efficiently should result in an excellent customer experience. That’s not to say the first restaurant won’t succeed (because many do), but there’s always a chance that something on the menu won’t live up to the business’s own expectations. By reducing the number of math topics taught, Common Core helps ensure students are truly ready for what comes next. Given the attention given to the included concepts, more practical applications and alternate operations of the math can be explored. Coinciding with the reduction of topics is an emphasis on vigor—achieving a “deep command” of the math being taught. Students will be challenged to understand the concepts behind mathematical operations rather than just resorting to rote memorization and processes to get a right answer. Speed and accuracy are still important; kids won’t be getting away that easily from flash cards and quizzes that increase fluency. Moreover, Common Core places even additional emphasis on practical application—after all, the math kids learn now will be important when they become adults, even if they never have to think about prime numbers or symmetrical lines in their day-to-day lives. Finally, CCSS links standards from grade to grade so that the skills learned at one level translate into the tools they need to learn at the next level. This coherence would seem an obvious educational approach, but often, there is no link—students are taught a skill in kindergarten that might not be used (and might have to be re-taught) until second grade. Each new concept in Common Core is an extension of a previously, already learned concept. 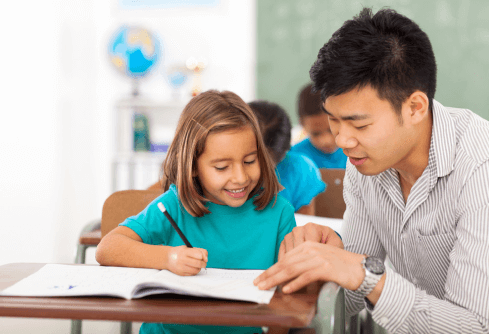 In addition to the grade-specific standards it sets forth, Common Core also emphasizes eight “Standards of Mathematical Practice” that teachers at all levels are encouraged to develop in their students. These eight practices, designed to improve student performance, are described here, with added information on how they apply to kindergartners. Students explain the problem to themselves and determine ways they can reach a solution. Then, they work at the problem until it’s solved. This CCSS math practice encourages students to take their time to read and try understanding the problem, emphasizing that the process is ultimately important even if it doesn’t result in a correct answer. Kindergartners who are just being introduced to reading likely aren’t going to encounter many word problems. However, they may be given a math challenge and be encouraged to “talk it out” to help them better arrive at an answer. Students this age will also be encouraged to use pictures or objects to better visualize the problem and solution. Students decontextualize and contextualize problems. By decontextualizing, they break down the problem into anything other than the standard operation. By contextualizing, they apply math into problems that seemingly have none. For example, kindergartners may decontextualize almost everything as they learn how to add and subtract—counting out objects, drawing, or even using their fingers to take them to the right answer. Kids this age who are contextualizing may find themselves turning snack time into math time, separating their apple slices or graham crackers into groups and adding or subtracting those groups before eating their food. Students use their acquired math knowledge and previous results to explain or critique their work or the work of others. As already mentioned, kindergartners may talk themselves through math problems, counting out loud to get to a right answer. Besides boosting their confidence, the ability to explain the math will increase their ability to excel at it. This is just like it sounds: Students use math to solve real-world problems. Kindergartners can be challenged to take the math skills they have learned into their own lives. For example, kids this age can separate their toys into specific categories (e.g., blue Legos and green Legos) or add the numbers of two groups of stuffed animals. Another self-explanatory practice: Students learn and determine which tools are best for the math problem at hand. The best tools for kindergartners as they master counting and simple adding and subtraction are anything that can represent a number—counters, drawings, number charts, or base ten blocks, just to name a few of many examples. Students strive to be exact and meticulous—period. Kindergartners might get some leeway as they learn basic math concepts for the first time, but they also will realize that correct answers are important. Furthermore, if a student can’t come up with the right answer with any problem, he should ask for help. Students will look for patterns and structures within math and apply these discoveries to subsequent problems. For example, a kindergartners might understand that 17 is simply 10 +7 and, similarly, 19 is 10+9; by decomposing the problem, they understand place value, which in turns leads to a better understanding of addition. Students come to realizations—“a-ha” moments is a good term for these realizations—about the math operations that they are performing and use this knowledge in subsequent problems. For example, a child this age using her fingers to help count may discover that any time she goes to her second hand, she is adding 5 to however many fingers she holds up in that second hand (in other words, counting to 8 is the same as 5+3). Some of parents’ trepidation with Common Core isn’t so much with the guidelines themselves, but with the testing now aligned with CCSS via local math curricula. Standardized testing was stressful for students and parents before; with the ongoing Common Core implementation, many families simply don’t know what to expect. If Common Core concerns you, intrigues you, or confuses you, don’t hesitate to learn as much about it—in your child’s classroom, at your kids’ school, and on a national level. Talk with teachers, principals, and other parents. Seek advice on how you can help your kids, and yourself, navigate CCSS math. If you want to take further action, become involved with PTA or other organizations and committees that deal with your school’s curriculum. The more you know, the more, ultimately, you can help your child. A basic tenet of Common Core is to apply math principles to real-world situations. Why not start now? Give your child math problems when you are out and about—the store, in traffic, the park, and so on. For example, if you are at a stoplight, challenge your kindergartner to count how many cars cross ahead of you; during rush hour, that number can reach well into double digits. You might look at a worksheet your child brings home and think, “This isn’t the math I’m used to.” Because Common Core emphasizes understanding the process of arriving at an answer, your child may be taught additional ways to fry a mathematical egg, so to speak. Instead of shunning these approaches, learn them for yourself. Once you comprehend these additional methods, you will be better able to help your child comprehend them as well. This suggestion can be read two ways. First, students will be encouraged to show how they arrived at an answer, especially within Common Core. Second, ask your children to show you their homework, particularly the challenging stuff. Explaining how a problem is solved is a basic CCSS tenet, so if your kids can be confident in explaining their work to you, they will carry that confidence into the classroom when the teacher asks for those same explanations. If your kindergartner is struggling with the new math standards, talk with his or her teacher first. You then might want to seek outside resources to help your child. Several online resources provide math help, including worksheets and sample tests that conform to Common Core standards. Tutoring might be an option you consider as well. Innovative iPad-based math programs have emerged that combine the personalized approach of a tutor with today’s technology. This revolutionary approach also may feature a curriculum based on Common Core, thus ensuring your child’s learning at home is aligned with what he or she is learning at school. Observe that the number of objects in each set is the same, though arranged differently. Count the number of objects in each set. Which set of objects has more number of items? Which is fewer in number? 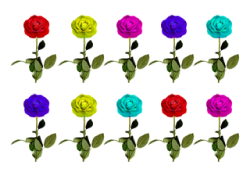 Are there more orchids or roses in the picture graph? Which vegetable is in the middle? Which animal is on the right? How many sides are there in a rectangle? Thousands of students. 30+ Countries. Don't get left behind.